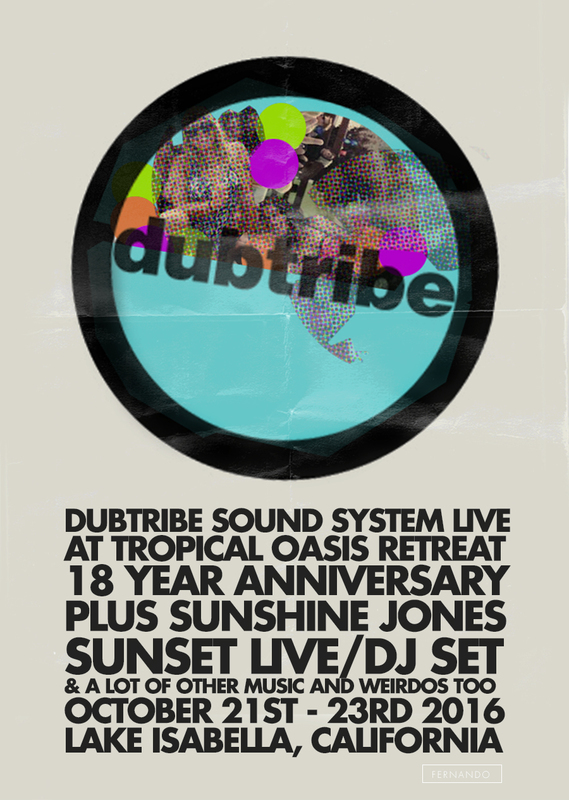 Hey, so yeah – Dubtribe are playing a live set after Sunset and then Sunshine playing the sunset set earlier that same day at Tropical Oasis Retreat’s 18 year anniversary at Lake Isabella, California. This is going to be over the top, packed with music, talented weirdos and freaks doing yoga, and swimming, and dancing. Serious liberation and celebration – totally far out.